Feed the goats, find the eggs, play with the chicks and bunnies. 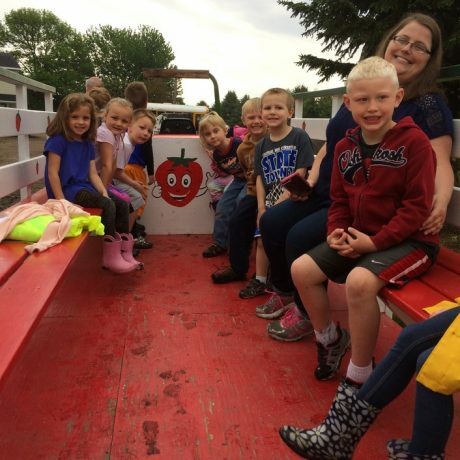 Enjoy a wagon ride around the farm and learn about the baby plants, mature plants, irrigation system, and straw. Age appropriate lessons by Farmer Dan, and by Sarah Brouwer, a licenced teacher. How do I schedule a tour? Contact sarah@brouwerberries.com for available dates and times. Tours can be 1 or 2 hours long, with additional time for a picnic lunch if desired. Tour groups will be greeted and given a 20 minute lesson in the yard, then taken to the field. Each student will receive a quart container to label with their name. They may pick a quart of berries as well as taste some out in the field. A wagon ride will be provided ONLY if it isn’t too busy at the front desk. Students are the responsibility of the chaperones after the 20 minute tour. School groups may use the picnic area and play with the animals, but please be respectful of our other guests! Groups are also welcome to come off season to enjoy the farm. Sarah is a licenced teacher with experience at every grade level. All age groups will be given a wagon ride, a small snack of jam and pretzels, and time to play with the baby animals. PreK-K: Using our senses to examine a strawberry. What does a plant need to survive? Counting game. Growing game. 1st-3rd Grade: What does a plant need to survive? Growing game. Why are bees important? 4th – 6th Grade: What does a plant need to survive? Growing game. Basic beekeeping. 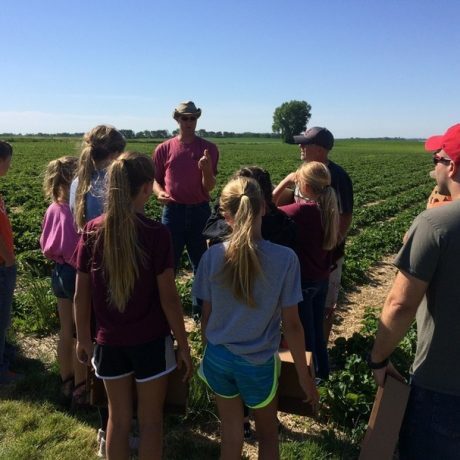 7th-9th Grade: Cover cropping, irrigation systems, extract DNA of a strawberry. During the strawberry season, there are porto-potties and handwashing stations available. Off-season, hot water is provided for handwashing, and the bathroom in the house may be used. How much do off-season tours cost? Tour groups may have extra time to eat a picnic lunch at no additional cost. Maximum 35 students at a time, to be divided into two groups. 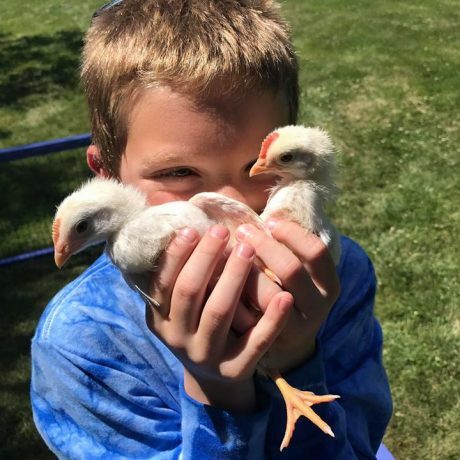 Other groups looking for a farm experience are welcome. Contact Sarah@brouwerberries.com to develop a program to meet your needs.